Just like to say a big thank you to Paul, the owner / director of GS Africa our top motorcycle hire company. The company is top draw and we’re so excited to be working with them this year. Their organisation is easy to work with, flexible to suit our needs, while at the same time has a tight professional infrastructure so we know we can rely on their bikes and their service. We’re pretty fussy who we use to supply our tour bikes and we’re probably not the easiest of customers – but when we met Paul and got to know the operation, we knew we made the right choice. The bike choice, accessories, rider gear – even right down to picking us up at the airport with his shuttle service – many thanks dude. 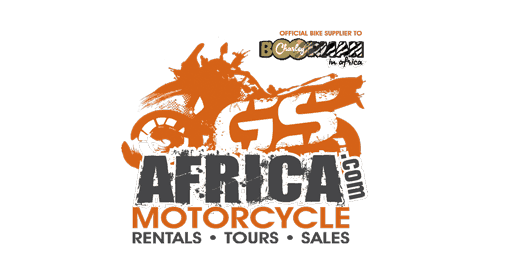 GS Africa were extremely helpful and happy to assist me in renting a motorcycle and clothing from them with only a few days notice. The BMW 1200 GS was in excellent condition and ran perfectly, you can see that the bikes are well maintained and serviced regularly which is very important on those rural roads. The clothing was all BMW clothing and in very good condition. Nice to have good protective clothing in case the worst happens. Thank you to Paul, Candi-Lee and the rest of the team at GS Africa for helping make my holiday a memorable one. Hope to see you all again in the near future. Let me say that as a serious motorbike ridder with passion for long distance trip, we rented a superb BMW GS with all options to GSAfrica after having considered alternative solution. Paul and his team were just dealing from the start to the finish of our project the right way. And their tariff is the one displayed on their website which has not been the case of another renting company in Cape town. Paul is very organised, his wife and daughter very client’s oriented and their shop is super clean, their bike was immaculate and they return my deposit very quickly showing a total respect for their clients. Hope Paul will introduce me to his Canadian partner as my next project is to ride Canada from east to west” Cheers. It’s been very easy and pleasant to rent a 883 iron from GS Africa. The staff is extremely friendly and helpful. I will definitely go back there next time I am in Cape Town! Excellent service in an emergency, The reason why it makes sense to pick a professional adventure bike rental company. Replacement pannier keys couriered 500kms from Cape Town. Thanks Paul Blignaut and GS Africa. Recommended! Thanks for taking a look at our testimonials. See what people are saying about us on Tripadvisor and Facebook. Just like to say a big thank you to Paul, the owner / director of GS Africa our top motorcycle hire company. The company is top draw and we’re so excited to be working with them this year. GS Africa has impressed me with its service and its very accurate and helpful advice not only during the very long and complicated trip but also during the months that took to prepare it. The outcome has been a very safe and magnificent adventure. Paul has been an African rider for decades and it shows. Paul was very helpful with route planning and suggestions for touring South Africa. The BMW 650 twins and the single performed flawlessly with not a minute of trouble during the 6000K we traveled. Kudos to Paul for making our bike rental painless. We first chose a 800GS but with some helpful advice on routes, we decided on one of GS Africa’s 1200GS’s – a brand new bike with 770 kilometers on the clock, full house. Now I’m busy buying one after the rental with them. Great guys to do business with. The Harley Heritage was in a very good condition and the service and support from GS Africa right from the start through to the ordering process and the pick-up was excellent. Highly recommended. Thanks a lot. Hi Paul and Petreaux – After an overnight flight Urs and I are safely back home and we are already missing the South African warmth and light. Thanks again for your services and I hope to be returning back to the Cape in the very near future. Best wishes ! First day back in the office after returning from Cape Town. I just wanted to say thanks for setting up the tour for us, absolutely fantastic! Also to give you my UK address so that you can get a few stickers up to us when they are done. I just wanted to thank Candi for her service and help. The ride and bike were excellent and my adventure(s) yesterday (both the planned and unexpected ones) are a highlight of my stay in Cape Town ::) I’ll be renting a bike from GS Africa again the next time I’m here. We certainly had a wonderful time riding around Cape Town. A big thanks to GS Africa and their fantastic service and attention to detail. We will certainly be back to GS Africa again when we are back in Cape Town.